of the Spirit through the bond of peace. In the late 1800's, the families in Prairieville recognized the need for a Christian church in their community. This was spearheaded by ten prominent families in the community: The Browns, Christys, Coles, Douglases, Edwards, Johnsons, Parms, Robinsons, Weams and Wests. On October 3, 1885, the Mt. 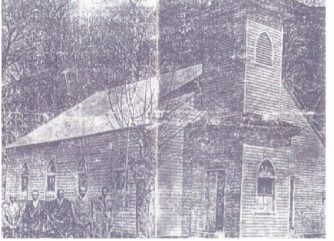 Gillion Missionary Baptist Church was established under the leadership of its first pastor, the Reverend Joseph Edwards. The first deacons were Brothers George H. Robinson, H.D. Johnson, Henry West, and Adams Douglas. Brother J. B. Christy was the first clerk. For sixteen years God blessed them to worship without the comfort of a physical church structure. On December 5, 1901, God blessed the members of Mt. Gillion with one acre of land which was donated by Mr. Alex N. Marchand. The construction of the church building began through the loving and loyal support and donations of Mt. Gillion's members and friends. The first church was constructed of a 16 foot by 24 foot wooden frame building of upright planks, exposed rafters and encasement windows. Mt. 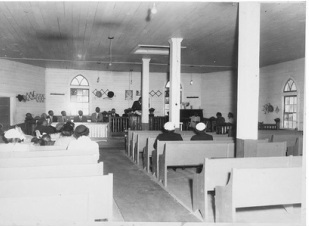 Gillion church also served as a school for the black children in the area. After the original construction of the church building, the following renovation were done: Enlargement of the Bell Tower; Baptism pool; Annex and the expansion of the present Sanctuary Structure. Rev. Joshua Hayward Rev. Lucious Hargrove, Sr.
Rev. John Marcell Rev. Jermaine Brumfield, Sr. These Christian men have made outstanding contributions to the spiritual growth as well as to the physical improvement of the church.